The advent of very compact, very powerful digital computers has made it possible to automate a great many processes that formerly required large, complex machinery. Digital computers have made possible revolutionary changes in industry, commerce, and transportation. 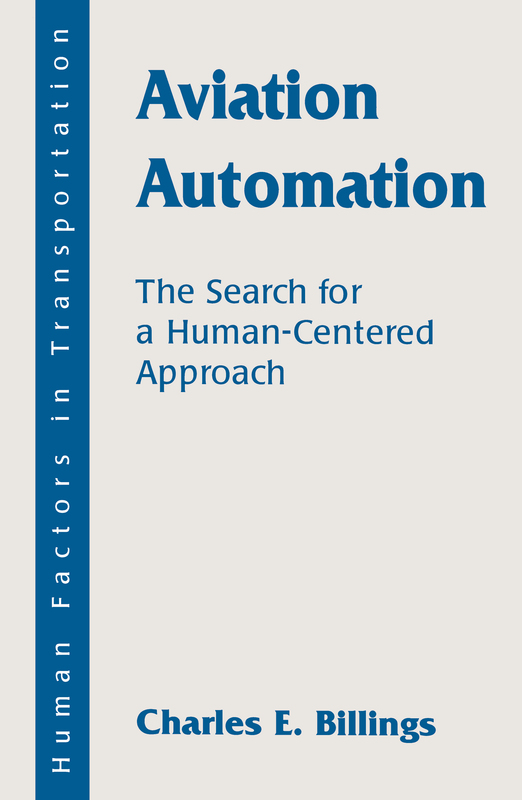 This book, an expansion and revision of the author's earlier technical papers on this subject, describes the development of automation in aircraft and in the aviation system, its likely evolution in the future, and the effects that these technologies have had -- and will have -- on the human operators and managers of the system. It suggests concepts that may be able to enhance human-machine relationships in future systems. The author focuses on the ability of human operators to work cooperatively with the constellation of machines they command and control, because it is the interactions among these system elements that result in the system's success or failure, whether in aviation or elsewhere. Aviation automation has provided great social and technological benefits, but these benefits have not come without cost. In recent years, new problems in aircraft have emerged due to failures in the human-machine relationship. These incidents and accidents have motivated this inquiry into aviation automation. Similar problems in the air traffic management system are predicted as it becomes more fully automated. In particular, incidents and accidents have occurred which suggest that the principle problems with today's aviation automation are associated with its complexity, coupling, autonomy, and opacity. These problems are not unique to aviation; they exist in other highly dynamic domains as well. The author suggests that a different approach to automation -- called "human-centered automation" -- offers potential benefits for system performance by enabling a more cooperative human-machine relationship in the control and management of aircraft and air traffic.